Ever wonder what times were like before any government agencies oversaw auto safety? Believe it or not, things really were worse back in the day. As an attorney, I often read old cases and I look for ones about cars because they are more fun to read than the ones about civil procedure and jurisdictional issues. I recently ran across a Michigan Supreme Court case involving a real classic: a 1953 Buick. A man named Leon Friend noticed that the brakes in his recently-purchased Roadmaster were not working, so he took it back to the selling dealer, Lawless Buick. And no, I am not making these names up. He got it to the dealer by using the emergency brake and the car in front of him (being driven by his wife) to stop when needed. After rolling it into the service area he told a man called Clifford Wentworth why he was there and then he was sent on his way. Wentworth, forgetting why the car had been brought in just minutes earlier, got in, fired it up, and began driving it. When he applied the useless brake pedal, the Roadmaster was aimed at a man named Robert Comstock who was busily working near the bumper of another car. The Roadmaster rammed Comstock and the car he was working on, crushing Comstock’s leg. Comstock would later lose the leg and file suit against everyone. In court, it came out that Buick had a problem with the braking systems on its 1953 Roadmasters and had known about it for a year. And by “problem,” I mean that the brakes catastrophically failed. Buick had sent out a bulletin to its dealers describing the problem and then two separate “kits” were made available for repairing the cars. 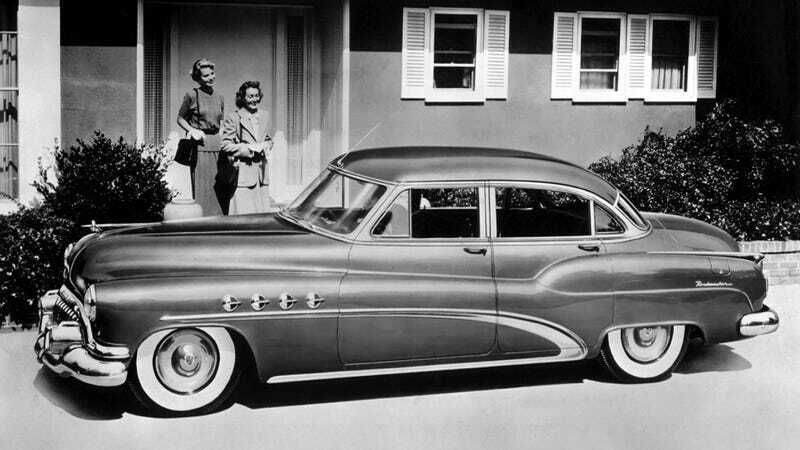 Buick sent out 52,000 of the kits at the end of 1953 and the beginning of 1954. Comstock lost his leg in January, 1954. The troubling aspect of this problem? The dealers were instructed to make repairs on the power brake system at General Motors’ expense whenever 1953 Buicks came into the shops. These repairs were made without notice to the owners and even if there were no complaints about the brakes. No warning to owners of 1953 Buicks equipped with these power brakes was given either by General Motors, or by the agency which sold this Buick as far as this record reveals. It was this climate which spurred sales of Unsafe at Any Speed a few years later and led to calls for government regulation of the automobile industry. In 1966, the Department of Transportation was formed and that would spawn a slew of other agencies which would eventually oversee the auto industry. Of course, that wouldn’t completely stop GM from building fatally defective cars and not warning the owners, but it was a step in the right direction.